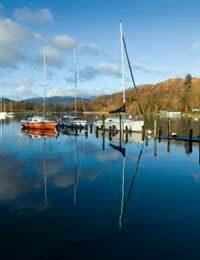 If you decide to sail your boat from the UK to another country, you’ll need to make sure you have all the correct paperwork with you in order to satisfy any foreign customs official who may request it. You might not always be asked for everything contained in this article on every occasion or necessarily in every country but it’s important you carry all of the relevant documentation, just in case you’re asked to present it. It really should go without saying but the first thing you need to ensure is that you, any fellow passengers travelling with you and any crew you have working on your boat, if applicable, are all carrying the correct personal documentation including passports and any necessary visas. You only need to obtain a registration document for a non-commercial boat if you’re taking it abroad. It’s not compulsory for a UK boat to have one of these as long as it remains in UK waters. This document is not only necessary if you’re sailing into a foreign port but also if you’re taking your boat abroad by trailer. You should also carry the original document on board as photocopies are highly unlikely to be accepted. As you’re going to have radio equipment installed, you’ll need to obtain a Ship Radio Licence which must contain all of the radio operated equipment that you have on board the boat. Although you’ll have an insurance certificate anyway, it’s important to make sure that it covers you for taking your boat abroad and that you remember to take the certificate with you as certain countries will not let you in unless you have adequate insurance cover. It’s also beneficial to get copies of this policy certificate translated into any foreign language(s) of the country/countries you plan to visit. Although proof of the boat’s VAT status doesn’t officially form part of the ship’s papers, EU residents can only use a boat within the EU if it is deemed to be VAT paid and, therefore, entitled to move freely around the EU and a customs official in any EU country can detain your boat if you cannot prove the VAT status of it. The most commonly accepted certificate of competence these days outside UK waters is the International Certificate of Competence (ICC). This will tell any foreign official that the skipper of the boat is trained to sail it, in a similar manner to that of an international driving licence. Different countries require different paperwork, however, with regards to this so it’s important to establish what may be required in advance. Incidentally, a certificate of competence is also required even in the UK if your boat is over 24m in length and/or over 80GT (gross tons) in weight. Under international radio regulations, only a person who holds this certificate, or somebody who is directly supervised by the certificate holder, is entitled to communicate using any radio device on board. If you don’t have a certificate, you can use the radio for safety monitoring purposes only but you can only communicate in an emergency situation if you require assistance. Firstly, although it is mandatory to be able to present any or all of the documentation outlined above, certain countries may also require additional documentation before they will let you enter the country by boat. Therefore, you should ensure that you check each country’s rules and regulations with regards to entry by boat before you travel to ensure that you have all the necessary and correct paperwork with you, should you be asked for it. Although red diesel can still be legitimately purchased in the UK for use on non-commercial boats up until the beginning of November 2008, this is not necessarily the case in all other EU countries. Therefore, if you’re using red diesel, you need to keep hold of all receipts to prove where you bought it and to keep a record of your engine hours in case you’re asked to prove the legitimacy of your red diesel purchases. Finally, although it’s not mandatory, it’s good boating etiquette and demonstrates courtesy if you’re boating abroad to fly the maritime ensign of the particular country you’re heading to which is also a signal that you recognise that you’re in the waters of a foreign country and claim protection from the law of the seas. If you decide to do this, don’t assume that an overseas country’s maritime ensign is the same as their national flag because it might be different. For example, the UK’s maritime ensign is not the same as the Union Jack.